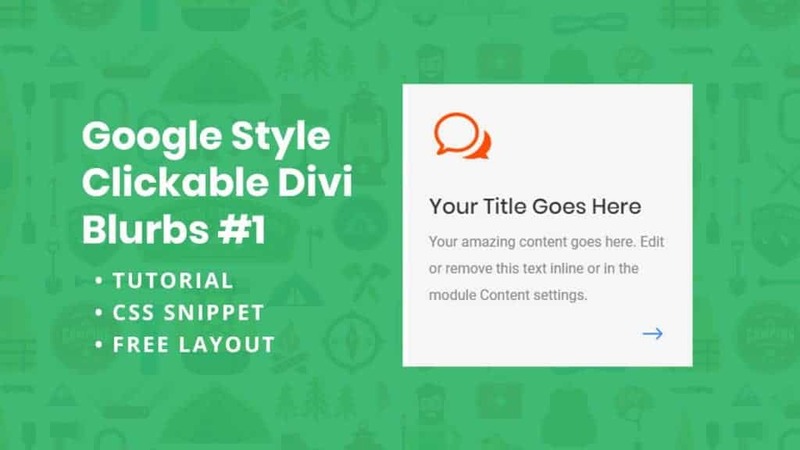 In this Divi tutorial, I’m going to show you how to replicate some Google style clickable Divi blurbs as found on Google’s Gsuite pages. The inspiration for this tutorial comes form a page in Google’s Gsuite marketing website. You can take a look for yourself and see what you think. 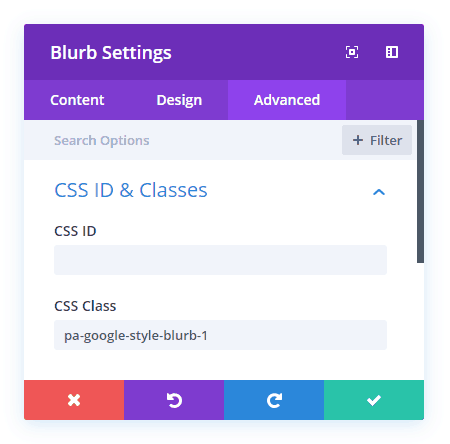 I thought some of you would enjoy creating this in Divi, so I have the CSS below or you can download the free layout and import it into the Divi Library on your website. The icon arrow that Google uses is a little differnt, but since I wanted to make this as easy as possible I decided to use the arrow icon from ETMODULES, Divi’s built in icon font. Your amazing content goes here. Edit or remove this text inline or in the module Content settings. Go to Divi>Theme Options>Custom CSS and add the following code and save. This code adjusts the blurb font, heading, icon position, shadow and cursor on hover, and adds the arrow in the bottom right corner. Please leave any comments below and be sure to subscribe. We have tons of tutorials in progress to be posted in the coming weeks, so join the list and you’ll be the first to know when we post. Download the .json Divi Layout! 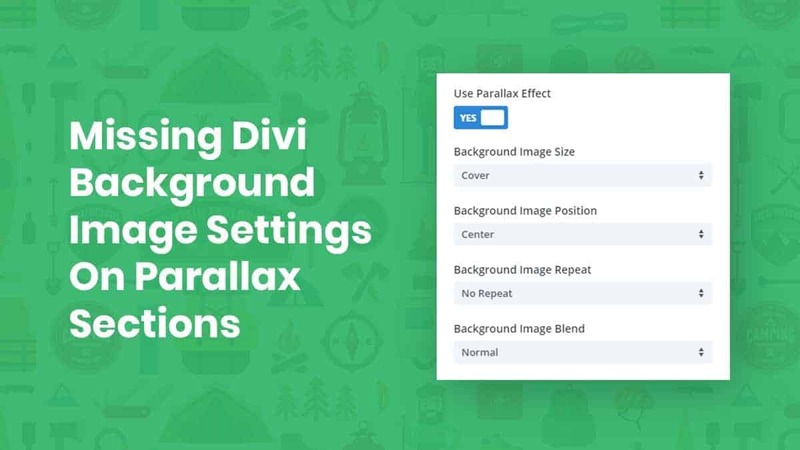 Simply import this layout to your Divi Library and use anywhere on your pages! Subscribe for more stuff like this. We have more cool stuff coming for our subscribers! Nelson is the owner of Pee-Aye Creative Co in the beautiful state of Pennsylvania. He loves helping small businesses, exploring, and building websites with Divi. Sign me up for blog and product notifications! Finding this site helpful? There's more coming for our subscribers!